Photo credit: ™ & © The LEGO Group & Lucasfilm Entertainment Company Ltd. LLC. All rights reserved. Introducing new heroes and villains to the LEGO Star Wars universe, the animated television series "LEGO Star Wars: The Freemaker Adventures" will premiere MONDAY, JUNE 20 (10:00 a.m. EDT), on Disney XD. 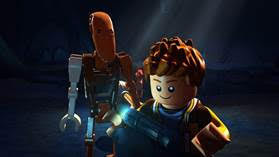 Set between the events of "The Empire Strikes Back" and "Return of the Jedi," the action comedy series follows the Freemakers, a family of sibling scavengers who operate a salvage and repair shop in space. 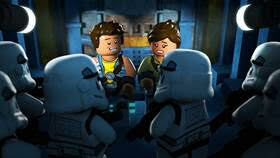 The series will also feature familiar characters and locations from the filmed Star Wars saga.